In today’s business environment complying with statutory and legal norms is imperative for businesses. For this it’s imperative to devise efficient and effective ways to maintain compliance to these laws and minimize their risk. A proactive approach to streamline compliance management is to possess a user friendly application with features to manage the various Compliance documents & renewal of the respective documents with notification to respective user. Compliance is not a one-time event, so organizations must adopt proactive approach to re-engineer their compliance programs with adequate technological support. This statutory compliance management system certainly takes the load off your back by enabling you to include key functionalities that help them to stay focused on core business activities as well remain compliant. Without this system employers fail to stick to these statutory compliances and face penalties. 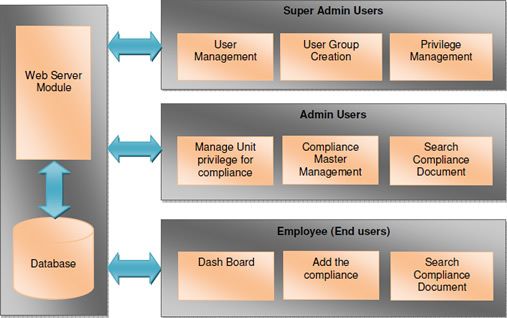 With our E-compliance application customer can create user groups & provide privileges to the user group. To maintain security user will be able to access only certain modules of the application. Dashboard displays ageing of compliances location & department wise, status of compliances for easy retrieval & to help organization remain 100% compliant. 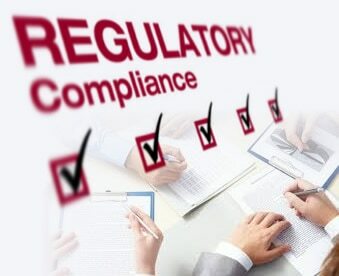 Easily & effectively manage compliance dates by streamlining the process right from the day to day maintenance of agreed registers and documents, search compliance document details, send remainders to responsible persons through mail & SMS triggering enables the organization to achieve their goals smoothly. To keep your business safe & scalable for future enhancements, to pay close attention to compliance management you can contact us.